Coba kenalin produk dari octagon studio tapi pake bahasa inggris. Saya yakin banget bahasa inggris saya pas-pasan, tapi biarlah. Is not about octagon studio and the products, but about me and the products. Started when one of my friend talk about something that when first thought accross my mind is crazy. "Hey, you know i bought a card if you pointed with your smartphone, the animal will pop up upon the card and alive." "No, really is true, i mean you have to look see trough the phone display and you have to installed the application first, one of my friend sell the card "
"Ouw, how much the card price?" "75 thousand Rupiah ( crazy prize)"
"For me is bit expensive, does your friend bring the card now? "No, he will bring the card after somebody want to buy it "
"Ah.. 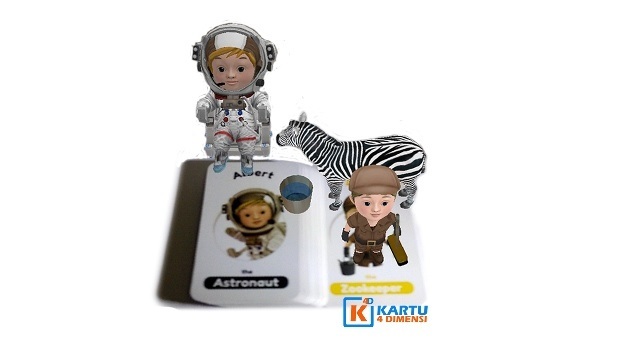 I will find it by my self"
And then i bought the Animal 4D flashcard using uncle Google Help, after installed the application i immediately see the magic trough the phone. Is an AR product, there are plenty of an explanations about AR. Bu the point is add an additional information from the existing real object, in a real time. 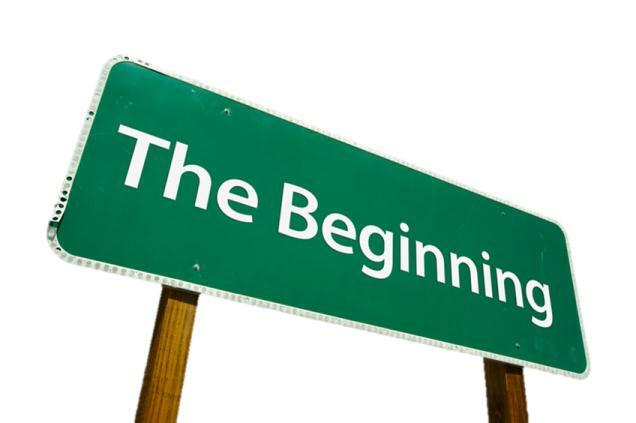 The additional information could be a video, 3D shape, 3D animation, layer of collor... etc. Nowaday Octagon Studio has release two featured educational product which is Animal 4D and Octaland 4D. 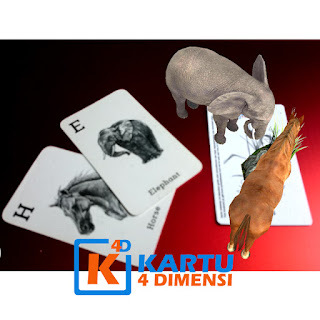 Animal 4D card is an education flashcard consists 26 pieces of card, sorted alphabet A - Z, one side of animal picture and the other the letter. Octaland 4D card also educational flashcard about the work professions consists 26 pieces of card to give a big picture to the kid about the real profession in areal world. The application will access the camera to scan the object (picture) at the flashcard and show appropriate 3D animation. Added Value, your smartphone or tablet no longer as an ordinary gadget like usually, only for messaging, social media but also educational tools. Communication, use those octagon studio products as a communication tools for you and your children.